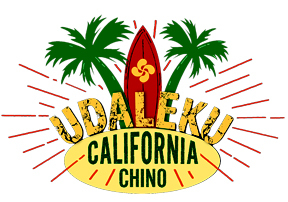 This Sunday, June 25th, Basque children will descend on the Chino and Southern California Basque Clubs for Udaleku that will run June 25-July 7th. Kids from Pennsylvania, Idaho, Utah, Nevada, Oregon, Canada, and the Basque Country will spend the two weeks learning more about their Basque culture through dance, txistu, pilota, cooking, song, language, and family history among other topics. It's not all about work though, there is also some time set aside for play. This year's camp will also include a day at Disneyland, as well as performing at the Southern California Basque Club's annual picnic on July 1st and 2nd. This time also allows these children to forge life-long friendships that will follow them beyond their Udaleku years. On behalf of NABO we'd like to thank everyone who has made this camp possible, and are sure that it will be a successful one. If you are in the area, and would like to help out, please contact Maite Maisterrena. 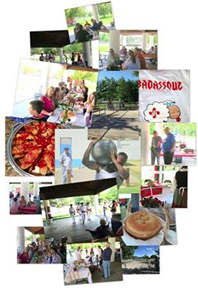 The Basque Club of Utah will celebrate its annual picnic on June 25th, in Midvale, Utah. The day will begin with mass at noon, followed by the picnic that will last all afternoon. There will be great food, kids' games, and a horseshoe pitching contest. The txiki dancers will also provide some entertainment. For more information, visit their website, and if you'd like to follow the action in real-time, you can follow the club on Twitter and Instagram @UTBasqueClub. The call for 2017 grants, for Basque clubs and federations, appeared in the Official Bulletin of the Basque Country yesterday. These Basque club grants, in support of operating expenses, activities and infrastructure during 2017 enjoy a total budget is 902,307 Euros. The budget is divided in the following way: 782,307 Euros allocated to Chapter IV activities (i.e. operating and activities), and the remaining 120,000 for Chapter VII activities which includes capital improvements to clubhouses and infrastructure. Deadline to apply is July 21, 2017. The Resolution can be found in Basque here; and in Spanish here.